Super Tipp, werde ich sicher mal brauchen können. Danke an den Author. Konnte das mit einer Excelliste und meinem Office 365 Sharepoint Bereich ohne Probleme nachvollziehen. Quick post today, but really handy. I recently had a list of values that I needed to save as a list on a SharePoint BI site. The good news is that this is much easier than I originally thought to accomplish. 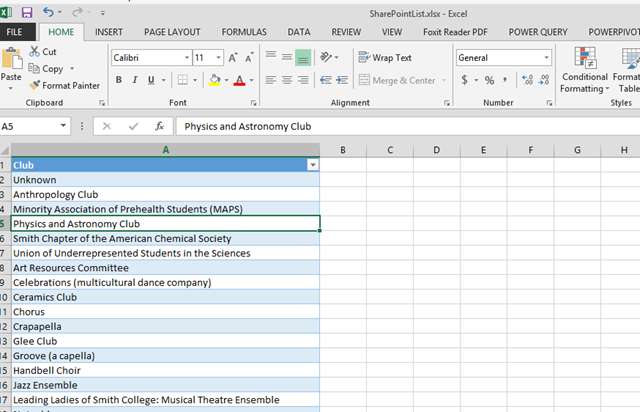 Make sure your list is formatted as a table, by going to Home->Format As Table if it’s not already. 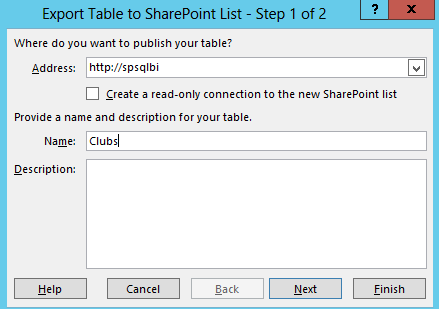 Next, on the Design tab in the ribbon when you have the table selected got to Export->Export Table to SharePoint list. Specify the URL of your SharePoint site, and give your list a name.